Who Am I A Slave Of? 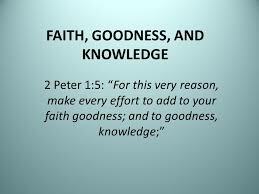 Scripture: 2 Peter 2: . They promise them freedom, while they themselves are slaves of depravity–for a man is a slave to whatever has mastered him. Observation: I do want Jesus to be my Master, yet I let my finances, the greed for this world, my worries, my desires and lust take first place from time to time in my life. God has put on my heart to be a servant and He has blessed me when I’m obedient. I do want to serve, but laziness also gets in the way. Application: Realize I’m the servant of the King and that Jesus is my master. My Life should reflect the worthiness of being called God’s own. Be aware the times I take Jesus off the throne and place an idol there. Repent and put my eyes on Christ. Prayer: Dear Lord you are my King, my Master. Open my eyes on how to please you this day. May You be well pleased with your servant. Observation: I’m suppose to make every effort to improve myself as a Christian, to keep evil desires away from me. The list goes on to self control, perseverance, Godliness, brotherly kindness and love. To make every effort is for me to actually look for an opportunity to improve myself so that I may draw nearer to God. Application: I need to take every opportunity to be a better Christian, a better man for God. As I grow in these things I will be more useful for God and will come closer to fulfilling my purpose in Him. Prayer: Dear Lord soften my heart and open my eyes that I will make every effort to glorify you. Increase my faith and desire to do your will. May I glorify you. 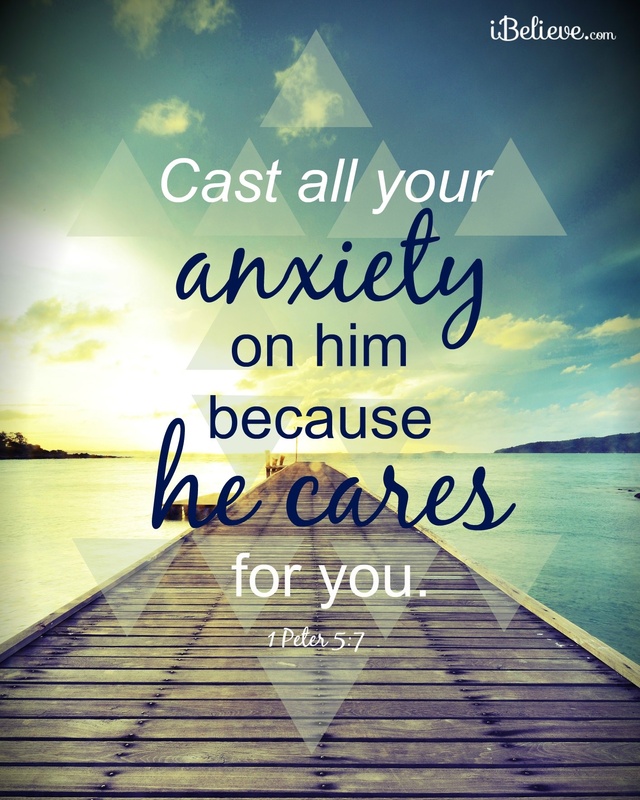 Scripture: 1 Peter 5:  Cast all your anxiety on him because he cares for you. Observation: Most of my life it seems all I had was anxiety. Suffering from depression all I could do was hold on to my anxiety and relive them each day. 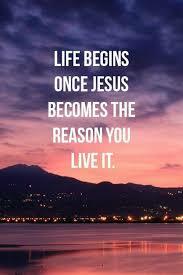 Then Christ came into my life and refused to allow me to suffer in this way, because He cares for me. The thoughts in the past did not haunt me anymore and for the first time in my life I had peace. I have no idea why God cares for me so much, but I’m thankful for His love. Application: To be a stronger force for God. To tell others that are suffering, the cure for their anxiety. To find ways to share the gospel so they may enjoy the peace that only Jesus brings. Prayer: Dear Lord thank you for loving me so much that you would refuse to allow me to suffer in my self afflicting ways, but reached out and gave me peace. Guide me now to do your will and share with others your love. Scripture: 1 Peter 4:  As a result, he does not live the rest of his earthly life for evil human desires, but rather for the will of God. Observation: So much of my time each day is spent on worldly things. My finances, my work, my worries and who to spend my time with. You wouldn’t consider this evil, but anything that keeps me from God’s will is sin. I pray each morning that God would open my eyes to His Will, yet most of the day my eyes are focused on other things. Application: Put God first at all times, no matter what I’m doing, ask God how He wants it done. Before I begin to get upset or worried ask God His will and what I am suppose to do and learn. God has given me a purpose, be aware at all times the opportunities God puts in my path to fulfill that purpose. 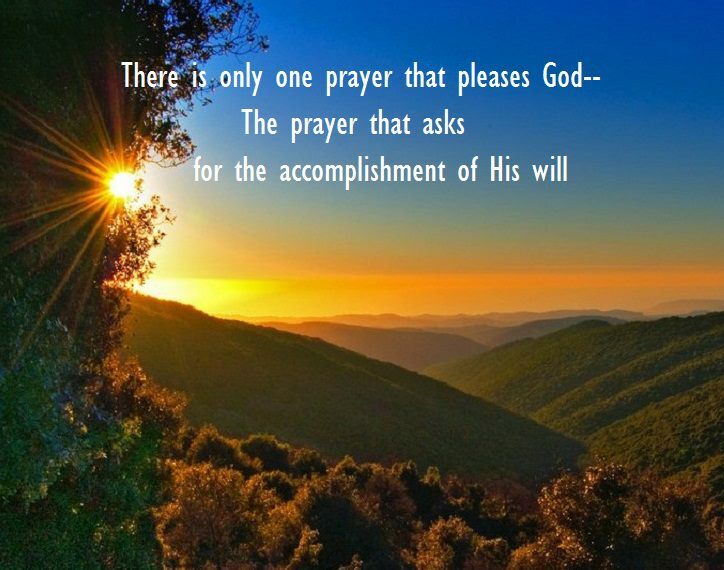 Prayer: Dear Lord show me your will, give me the discipline and courage to fulfill it and the knowledge and wisdom to know what it is.